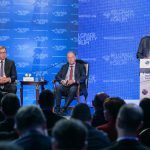 The panel that followed the Grand Opening of the Belgrade Security Forum saw the participation of the presidents of the Republic of Serbia and of the Republic of Austria. In the event titled “Western Balkans and the European Union” Mr. Aleksandar Vučić and Mr. Alexander van der Belen gave introductory speeches respectively and had a questions and answers session moderated by Mr. Pavol Demeš, Transatlantic Fellow, German Marshall Fund of the United States. Both presidents agreed that the region has EU perspective but that strong reforms and important decisions have to be made. Ms. Sonja Licht form the Belgrade Fund for Political Excellence gave Welcoming Speech on the behalf of the BSF organisers. She explained that when the idea of Belgrade Security Fund was born in 2010 everyone was hoping for a more normal world, which meant more human and more responsible. Normality is the main theme of this year’s event, but “a rather new one”. 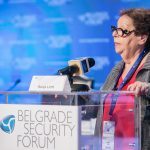 “Although the Belgrade Security Forum is led by the idea to bring global debate home we wanted to focus more on the region”, Licht sad and added that she was convinced that there was potential in the countries in the region to get rid of the black and white paradigm and overcome the love and hate politics. 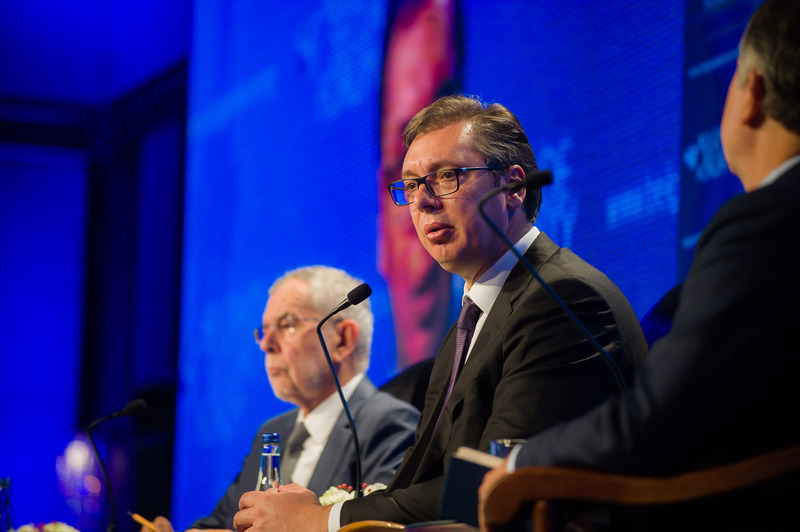 President Vučić stressed the importance of two new developments in the region. 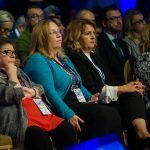 Those were the failure of the referendum in FYR Macedonia and the elections in Bosnia and Hercegovina. „We need stronger role of EU, otherwise the EU will not be the type of dream, a beacon of freedom that we strive to reach. People in the region need something tangible, something they can see with their own eyes”, president pointed out. 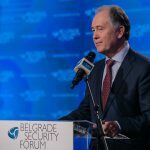 He added that Serbia will do its utmost best to preserve peace, stability and tranquillity in the region, concluding that it will firmly remain on the EU path. 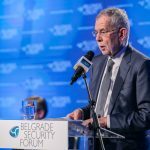 President of Austria Alexander van der Bellen said that „making Western Balkans part of the EU needs courage and vision on all sides“. 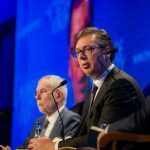 He confirmed he was staying optimistic because Western Balkans countries conducted reforms that have made the perspective of joining EU realistic and viable. “It needs courage to suggest dialogue over frozen conflict” Van der Bellen assessed. On the other hand, he warned that courageous steps are not only task of politicians, but of the citizens as well. Austrian president wanted to underline the special relationship between the two countries and Austrian support to Serbia. He continued by explaining that idea that nation states do better on their own is old fashioned and wrong: “no single country can prosper today without cooperation. It is better to be a giant of welfare, than a nationalistic dwarf”. 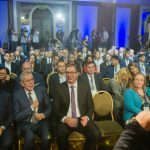 During the questions and answers session, president Vučić confirmed that Serbia is committed to judiciary reform and the rule of law and pointed out that economic data shows Serbia is doing better than even some EU member countries. 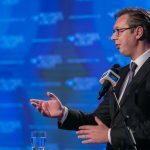 He commented on the Belgrade-Pristina dialogue, explaining that Serbia fulfilled all of its obligations from the Brussels agreement and Pristina had only one, which they still did not fulfil. Solution must be a compromise, which means it must be painful for both sides, he concluded. 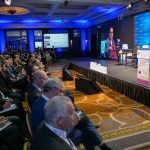 In answering a question on the state of trust in the region President Van der Bellen felt that trust is going down. Conflicts can be resolved, but it takes time, he stressed, citing the example of the South Tyrol.